Lenovo Philippines, decided to join the party on data analytics with their new excellent ThinkCentre AIOs personal computer. That is because of the growing demand on Big Data and the Analytics Market where-in the Philippines is quickly becoming a data analytics hub. With the rise of local business process outsourcing realizing the importance of that tool to help them came up with good decisions Lenovo found the leverage on this. 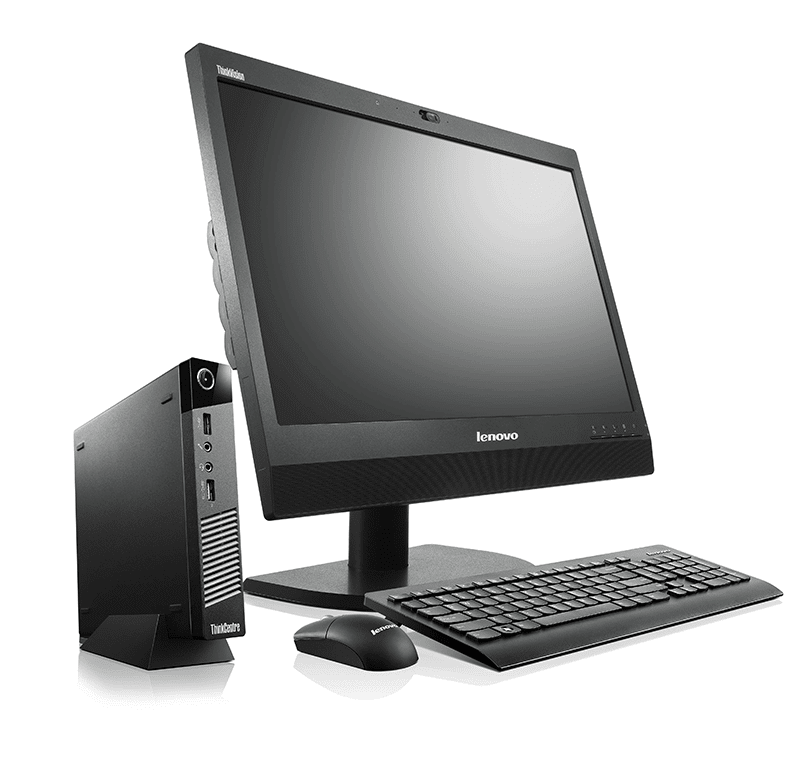 With that, Lenovo has develop a range of commercial grade PCs to address BPO firms' security, privacy, energy management and high speed data processing needs. “As a global leader in providing innovative enterprise technology, Lenovo has a strong portfolio of commercial AlI-in-One computers with high processing power and security features ideal for all-day computing requirements. Lenovo has in fact developed new space-saving and energy efficient all-in-one (AIO) desktops including ThinkCentre M53 Tiny, ThinkCentre Tiny-in-One 23, and ThinkCentre E63z, to address the data-intensive needs of firms that operate 24/7 in space-constrained offices,” - Michael Ngan, Country General Manager, Lenovo Philippines. One of them is the unique hybrid configuration of the Tiny-in-One 23 that offers a clean-desk computing experience. It allows employees to configure their AIO with plethora of chipsets and CPUs based on data centers' unique requirements. The Tiny-in-One 23 is free of cable clutter, designed for space saving and efficiently mix and match the 23-inch AIO experience with any of the current ThinkCentre Tiny PCs which are sold separately, for separate traditional tower setup refresh cycles. It can make seamless video and audio calls easily, have front access USB 3.0 audio ports and a brilliant 23 inch FHD screen. This Tiny-in-One 23 is also ENERGY STAR certified that features 90W 87% power supply unit for better energy saving in data centers. It also boast an ergonomic stand for tilt and height adjustments, so data center employees can have more flexibility. The ThinkCentre M53 Tiny’s Intelligent Cooling Engine (ICE) 3.0 balances thermals and acoustics, so employees can better work in hotter temperatures. It also allows system monitoring with thermal alerts that preempt overheating. Accredited with ENERGY Star 5.2, EPEAT® Gold, and UL Environment Gold, the ThinkCentre M53 Tiny also features Desktop Power Manager to efficiently customize power settings and balance power consumption with system performance in data centers. With the ThinkCentre E63z’s view management utility, data center employees can simultaneously view multiple active displays and seamlessly switch between applications. This feature facilitates greater productivity when multi-tasking. The USB port disablement and Smart USB protection also minimize risks of unauthorized use of storage device and data theft in data centers. Featuring powerful Intel Core i3 processors and a 19.5-inch display, the ThinkCentre E63z provides advanced security, manageability, and green environment capabilities while taking surprisingly little space on the desk at just 37.5 mm thick. The ThinkCentre E63z also supports an HDMI out port, card reader, and a Rapid Charge USB port, for enhanced connectivity in data centers. It is ENERGY STAR and GREENGUARD compliant, and also certified with EPEAT® Silver, which allow BPO firms to keep their power consumption at bay with excellent power management tools like the Desktop Power Manager. It's available at all Lenovo corporate channel resellers. For the latest Lenovo news, subscribe to Lenovo RSS feeds or follow Lenovo on Twitter, Instagram, and Facebook.